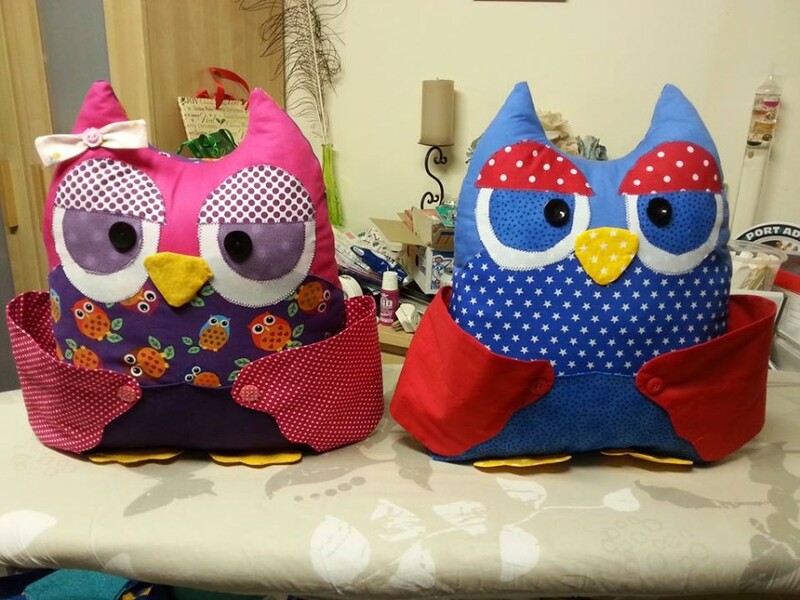 You won’t be able to wait to try out this Owl Remote Control Holder Sewing Pattern and they are just so cute. Be sure to watch the video tutorial while you’re here. Are you always misplacing your remote control? Well, we have found the perfect solution for you! 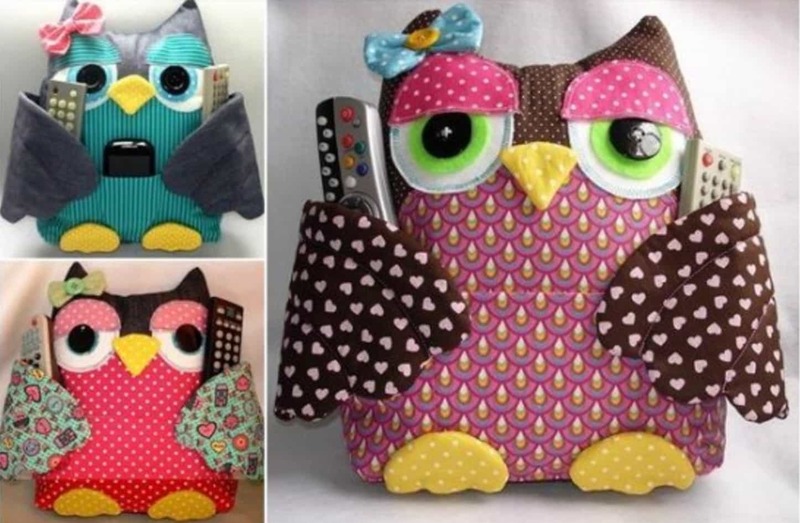 This Owl Remote Control Holder Sewing Pattern is adorable and how handy will they come in at your home. They have the sweetest face and will keep an eagle eye on the remote. You will always know where it is! Our post includes a sewing pattern plus a helpful video tutorial to step you through the process. Be sure to view our full post. This is a great project for beginners and no special skills are required. You can use your owl in many ways and we know that you are going to love the results! Check out these fantastic creations from our member Joanne. She sure did a great job and she fell head over heels for hers! You can grab your Owl Free Template here and for more sewing projects check out our other ideas here. We've rounded up 5 popular Craft Bags that you will love to make. They can double as overnight or travel bags too. We have also included the super easy 20 minute Tote Bag. They are all fabulous free patterns. Pin your favorites now. You will love these adorable knit cat cocoon pattern ideas and there's something for everyone. We have free patterns like this plus a cat tunnel too. We even have a readymade version that you can purchase. We've got serious love for these adorable Knitted Cats and they are the purrrrfect project for you. Whip out your needles, you are going to love these cuties and they are just one of several free patterns. View them all now! Your furbaby will go nuts for this tipi and its so easy to make and looks great. We have the quick video to show you how. Watch now. You will love this collection of Knitted Tea Cozy Patterns and there's something for everyone including Beatrix Potter Characters plus we even have the most gorgeous toadstool Fairyhouse. View now and Pin your favorites. A giant Crochet Doily Rug will make a fabulous feature piece in your home and we have lots of FREE Patterns for you to try out. You'll love the amazing Crochet Night Light Rug too! You'll love this collection of super cute Paper Butterflies that includes these adorable Cupcake Liner version. We have several styles that you can whip up quickly and easily plus a popular video tutorial. Don't miss these beautiful ideas.